When Earth was formed, the atmosphere was rich in carbon dioxide and no free oxygen molecules were present. Early life forms, comparable to present day microorganisms, satisfied their energy needs initially by 'eating' small energy-rich molecules. 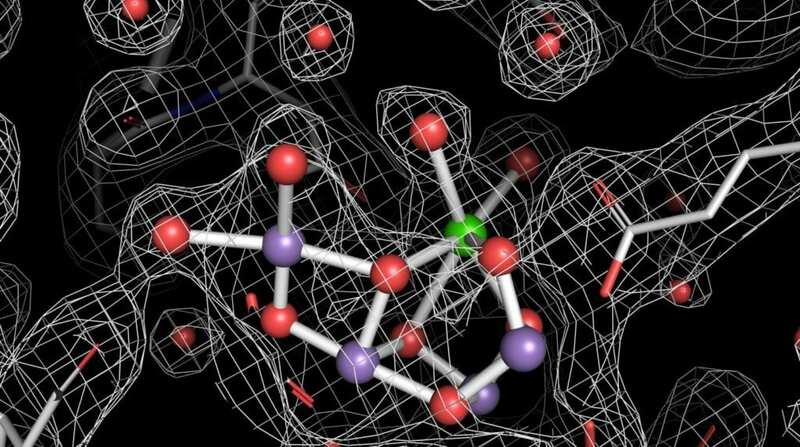 Subsequently, some 'discovered' how to harvest solar energy and store it in energy-rich molecules such as sugars, but it was not until these early life forms could extract electrons and protons from water molecules that evolution took a huge turn and allowed the development of life as we know it. This tremendous explosion of biological diversity was possible because of the abundance of water and solar energy. The by-product oxygen in turn enabled the evolution of complex animals after accumulating in the atmosphere. "I have been working for 30 years now to understand the mechanism of water oxidation in photosynthesis. This result is a dream come true! These new images will facilitate understanding this complex reaction on a level of detail previously thought impossible," says Johannes Messinger. "Solar fuels are carbon-free or carbon-neutral. They will be needed in addition to batteries to turn the present fossil fuel based energy system into a renewable energy economy. The need of solar fuels is obvious if one realises that world-wide 80 per cent of present day energy consumption is fuel based. Even in Sweden more than 50 percent of the energy is used in form of fuels and only 34 percent as electricity," says Johannes Messinger.